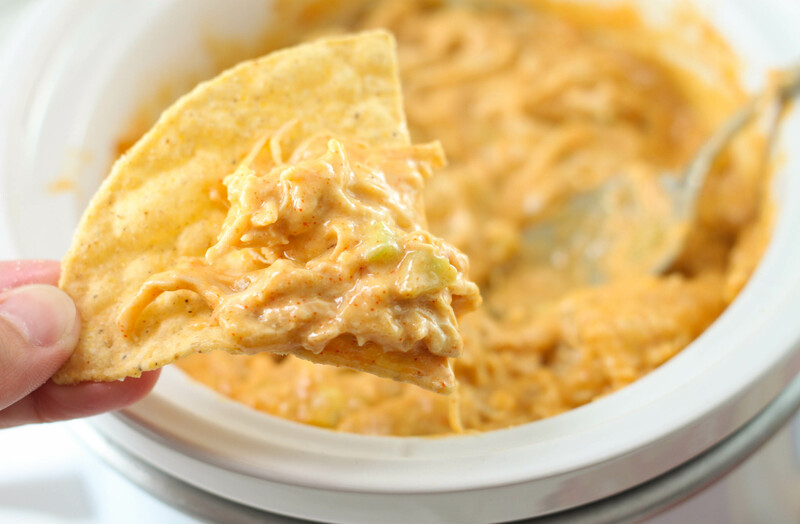 This Crock Pot Chicken Enchilada Dip is the perfect, easy dip recipe for a party appetizer or to snack on during the game. This recipe comes from one of my favorite cookbooks, a fundraiser cookbook with recipes from other dairy farmers in our state. We love all things Mexican in our house. 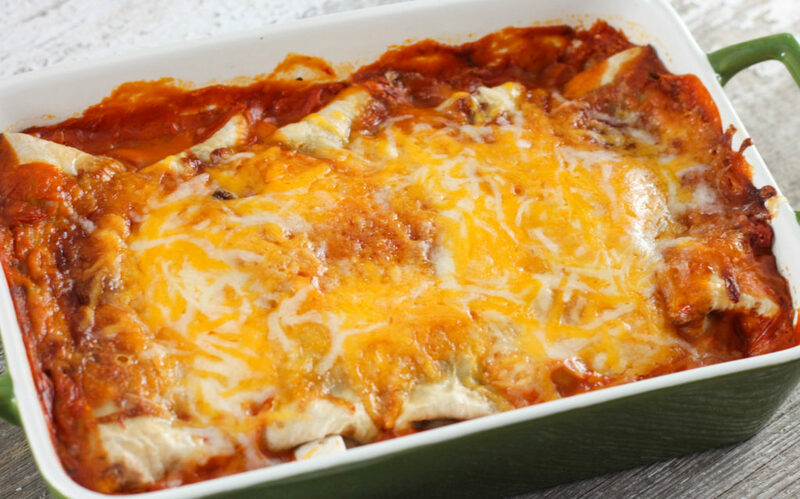 These Burrito Style Beef Enchiladas are a family favorite. But I wanted a chicken version for a particular party so I was glad to find this recipe. This recipe is as easy a combining all the ingredients in a crock pot and warming until ready to serve. Leftover chicken or rotisserie chicken would be great in this recipe. The onion and celery will both still have some crunch, which I like. But, if you prefer to just have the flavor and not the crunch, saute the celery and onion for a couple minutes before adding to the rest of the ingredients. You could also leave out the celery if you aren’t a fan and use onion powder instead of onion, 1/2-1 teaspoon would work. 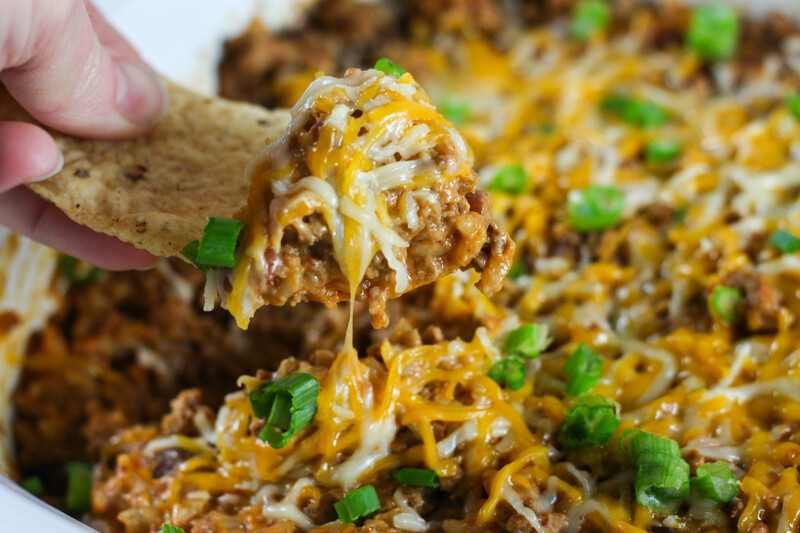 Tortilla chips taste great with this recipe but I also like to serve it with corn chips, Fritos Scoops Corn Chips are my favorite. 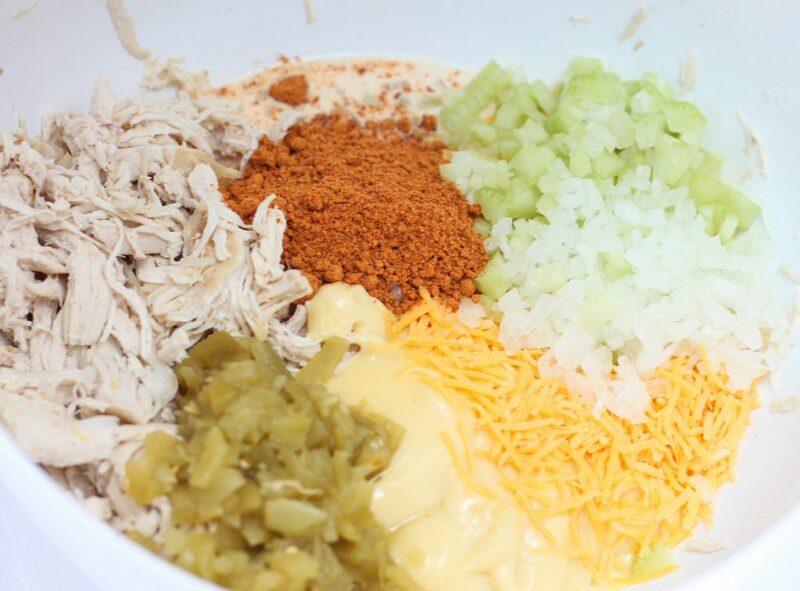 In a medium bowl combine all the ingredients until well blended. 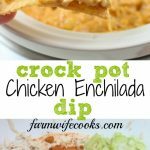 Pour into a dip size ( 1 -1/2 quart or larger) crock pot. Place on low or warm until serving. is there an easier way to incorporate the celery, onion and green chiles to not have to buy those and use a small bit? Could you use salsa maybe even though it might be a tad diff taste, and if so,how much would you suggest? Thanks! I haven’t ever made it with salsa but I would think it would be good because that is similar to the sauce in this recipe http://www.farmwifecooks.com/beef-enchiladas/. If you like spice, I would use a medium salsa. I would try a half cup and you could always add more if it needed it. As far as the celery, you could leave it out. Onions could be substituted for minced onion or onion powder about 1 teaspoon should do the trick. I would recommend using the green chilies, that’s what gives this dip the flavor. They come in 4 ounce cans. Rachel, you can buy celery flakes in the spice isle. I use it more than real celery because it is much easier to keep around. the same goes for using flaked onion or onion powder. As for the green chili flavor, you can buy a teeny little can of it for under a dollar so you really won’t waste much. Or, you can substitute another dried chili powder which will change the flavor some. Just google substitute for green chili and see what pops up!